Well, after a delicious and filling Scottish breakfast, we hit the road around 9 and headed back to Aberdeen to add Ian to the rental car drivers list! One more driver as we go through the Whisky trail…always a wise idea! After a brief walk about (Dan bought a warm fleece!) 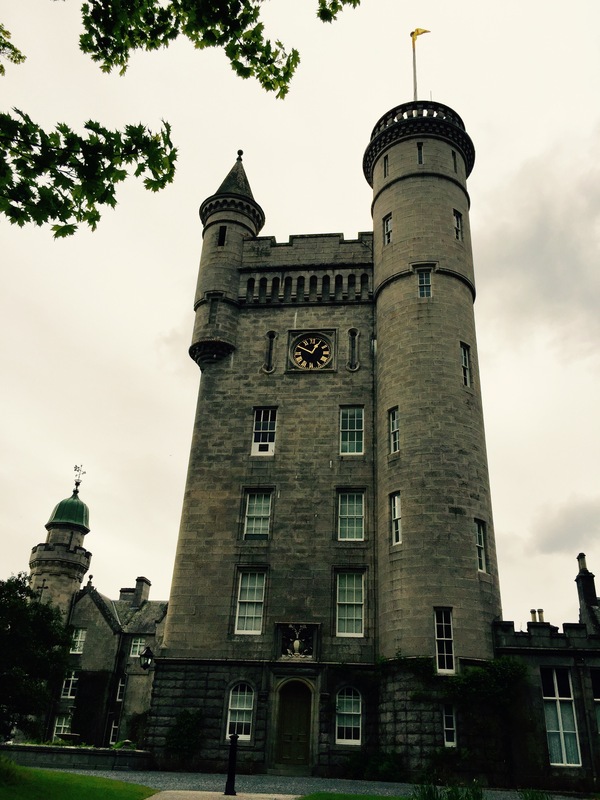 we were on our way to Balmoral Castle! 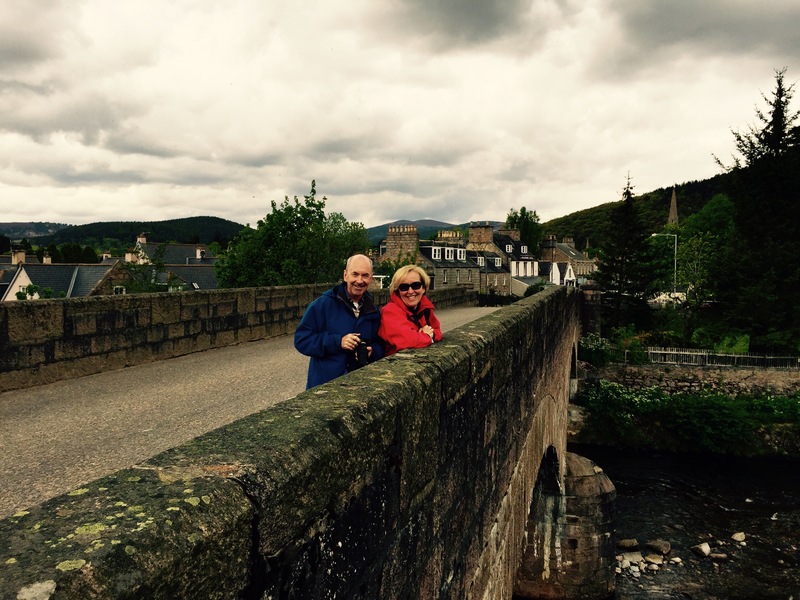 After Balmoral, we headed towards Dufftown and the Whisky Trail… First stop, Glenfiddich…. Great tour, and lovely dram! 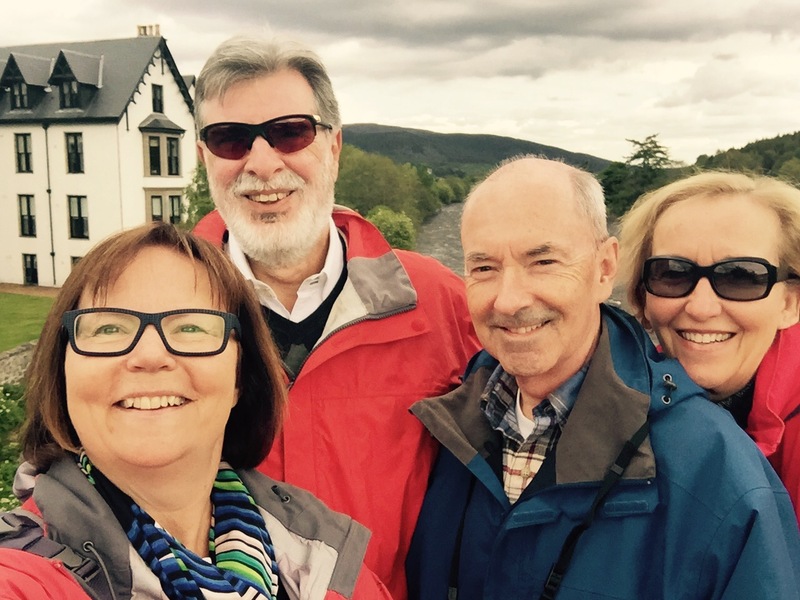 Now time to get to our B and B and settle in for the final planning for our Speyside touring tomorrow! After a lovely supper and a final planning session, we’re set for tomorrow’s explorations! In the meantime Alan has begun his walk back this am after a tearful goodbye to Lisa. 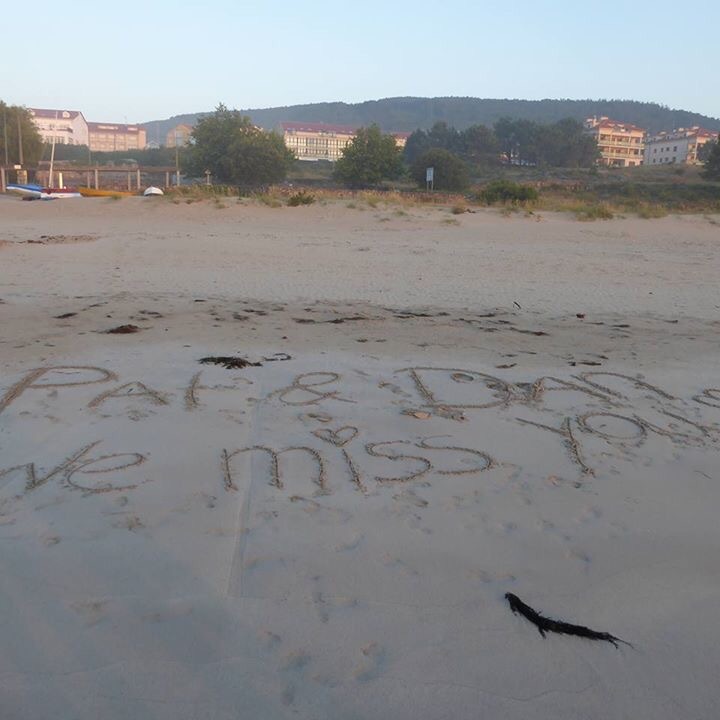 They had a lovely lady afternoon at the beach in Finissterre and even left Dan and I a lovely greeting in the sand! We miss you both too!